Beston has different models of tyre recycling plant for sale. In these years, we have successfully installed our tire recycling equipment in many countries, such as the UK, South Africa, Australia, Uzbekistan, etc. We always provide customers with the top quality waste tyre recycling machinery, suitable business plan, reasonable price, as well as full service. Thus, Beston Group is a perfect choice for you tyre recycling business! 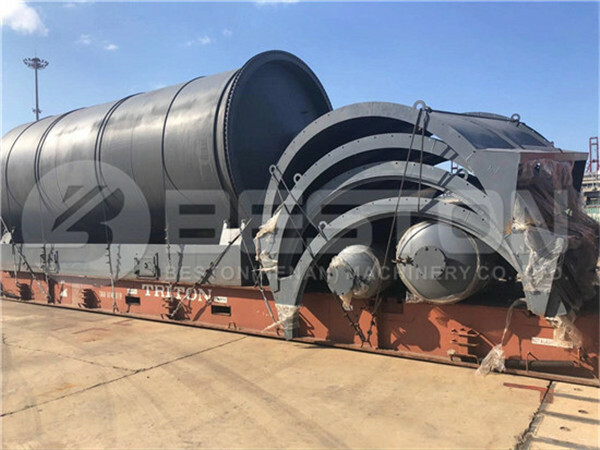 As our pyrolysis technology matures, we have four models of waste tyre recycling plants for sale, namely BLJ-6, BLJ-10, BLJ-16 and BLL-20. Here are more parameters for your reference. Raw Materials Waste Tyre, Rubber, Oil Sludge, etc. First, there are different waste tyres pyrolysis plants to choose from. The daily capacity is from 6 to 24 tons. Meanwhile, the working methods of the plants are batch, semi-continuous and fully continuous. So the tire recycling plant price is also very different. You can choose according to your needs and budgets. It can achieve the conversion of waste tyre to fuel, and you can also get carbon black and steel wire. 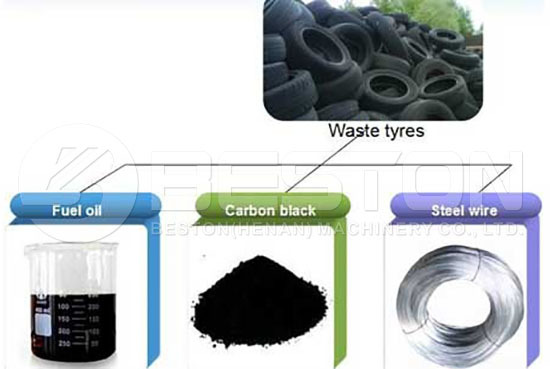 We can get various end products through tyre recycling, such as pyrolysis oil, carbon black, steel wire. Pyrolysis Oil: It is one kind of useful fuel in many industries, such as brick factory, glass factory, etc. Carbon Black: You can use it to make construction bricks with clay or used as fuel. Steel Wire: You can process the steel wire for new steel products. Beston tyre recycling plant for sale is affordable. Meanwhile, the wide market for the end products also lowers the tyre pyrolysis plant cost. 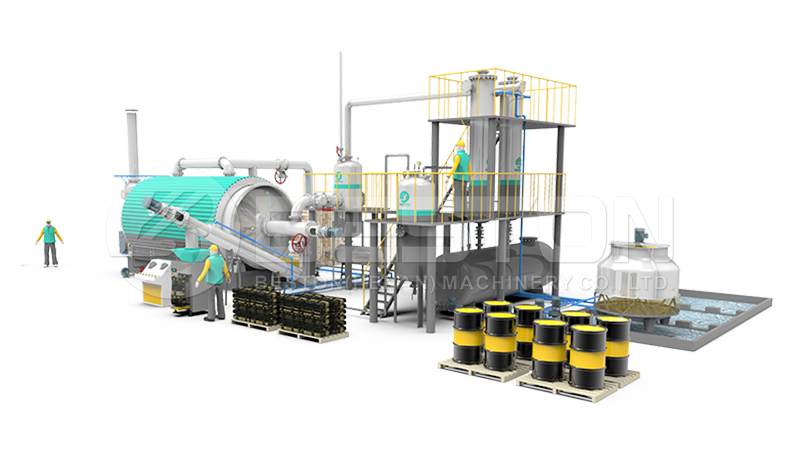 In addition, the waste pyrolysis machine for Beston is also suitable for the other raw materials, such as rubber, oil sludge. Hence, to invest a waste tyre recycling machinery is profitable. All of our plants have passed the “CE” certification and enjoy a worldwide reputation. Both the tire recycling plant price and the operating cost are cost-effective. Up until now, our waste pyrolysis plants have been exported to Jordan, Turkey, Dominica, Indonesia and so on. Meanwhile, it can also strongly prove that Beston plants are popular in the market. As a professional waste recycling machine manufacturer, Beston aims to do something good for the earth. Thus, all our machines, including waste sorting machine, waste pyrolysis equipment, as well as charcoal making machine, can turn waste into value without pollution. In terms of the waste tyre recycling plant for sale, the combustible gas processed during the pyrolysis process can be reused as fuel to heat the reactor. So it can save fuel costs for you. Moreover, there is a powerful dedusting system to meet the exhaust emission standard. That’s why Beston Machinery can be popular among numerous tire recycling machine manufacturers around the world. 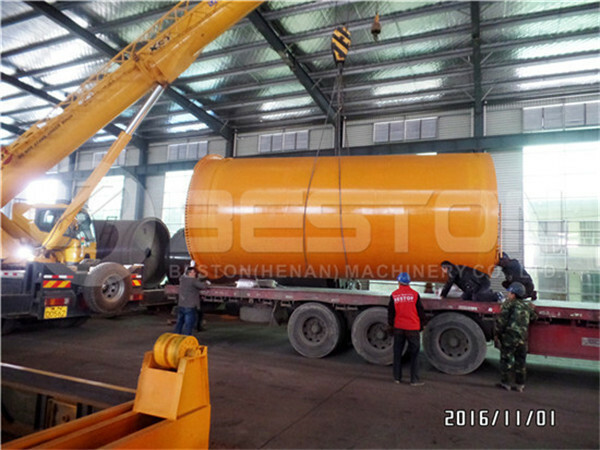 In 2016, Beston has exported a waste tyre recycling machine to Indonesia. It was put into use in 2017. 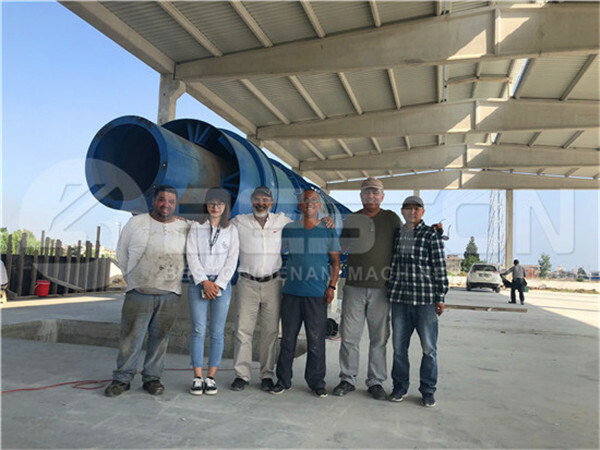 In June 2018, our sales manager went to visit on site our customer for the feedback. 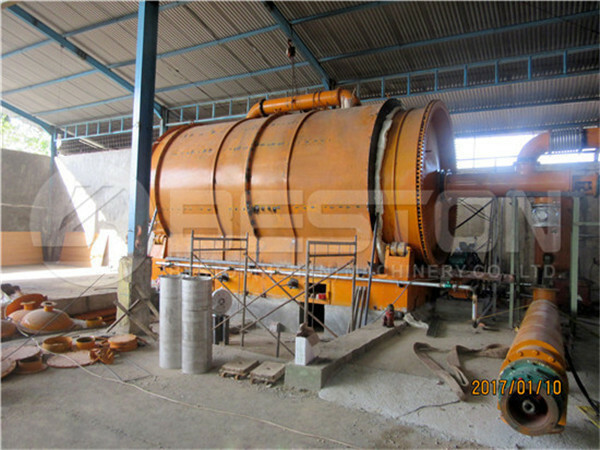 As we know, the customers are very satisfied with the pyrolysis plant as well as our service. Meanwhile, we have learnt that there is a great market in Indonesia, Malaysia and the Philippines. Especially, most countries have published environmental protection policies. So the waste recycling business is widely supported. The earlier you invest in a waste tyre recycling plant for sale, the more the profits. Beston Group has rich experience in manufacturing and exporting waste tyre recycling equipment. In 2017, we have the honour to partner with the government of Uzbekistan. We also had two waste tyre pyrolysis plants installed in South Africa in 2018. In the same year, the tyre pyrolysis plant has been installed in the UK in August. In the same month, the waste pyrolysis machine for Dominican’s customer has been shipped. Obviously, waste tyre recycling business is promising. 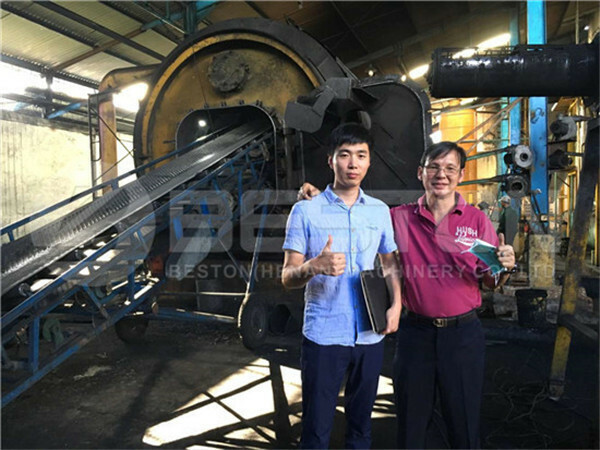 And it is also proved that Beston waste tyre recycling plant is reliable. If you are looking for a waste tyre recycling plant for sale, welcome to contact us now!